Steel on Steel is hosted by 50+ year broadcast veteran John Loeffler, whose commentary reflects independent insight into the driving forces behind contemporary issues from Washington politicians to Main Street. 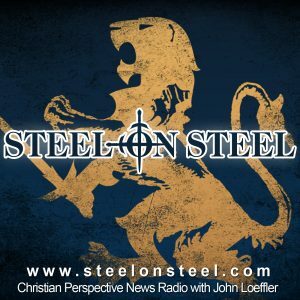 The Steel on Steel radio program is a weekly intelligence briefing dedicated to the sharpening of ideas, news, commentary, interview, information, and debate, much of which you will NOT hear elsewhere. Our goal and pledge, here at Steel on Steel, is to put together 90+ minutes of solid news and analysis that the mainline media are ignoring by ignorance, bias, and/or neglect. The goal being to educate and equip today’s listener to discern the trends and connect the dots that most others miss. Since 1990, Steel on Steel has aired weekly as a nationally syndicated radio talk program. For on-demand access to the weekly 2+ hour show and archives spanning nearly two decades, you can listen right here by subscribing for just $10 a month. If you just want to check us out with no commitment, start with a 1 month free trial membership. You’ll get the entire show, including the Section 6 Intelligence Brief, accessible on all your devices. Everybody has a worldview, or way of looking at the world. It’s shaped by your values system and personal biases, education, religious beliefs, experiences, etc. Your individual worldview governs your daily thought processes and actions and will ultimately determine your place in life. Steel on Steel is a tool which helps you identify the moving parts of your worldview and gives you insight to discern the truth. Truth is that which pertains to reality. Reality is a great equalizer and when reality becomes real there’s no room for excuses. Worldview Wars is a series of four lectures by veteran broadcaster, John Loeffler, detailing the competing worldviews of the 20th Century. Philosophers such as Rousseau, Hegel, Kierkegaard, Darwin, Nietzsche, Marx and Dewey have radically altered western culture and threatened to undermine traditional values. Total running time – 5 hours. The “Powers that Be” or PTBs as John calls them, try to convince you to accept, promote, and even fund their own worldview. Progressive elites for centuries have used the dialectic process and the control of the flow of information to sway the masses. For that reason, the “herd” is always running in the wrong direction and missing the truth because the mainstream media is constantly looking in the rear-view mirror to try to tell them whats going on. Here at Steel on Steel, we identify 27 logical fallacies which are commonplace in society and tie those in with why the PTBs are always getting it wrong. Why do events today eerily remind us of the perils of yesteryear? For over a hundred years Progressives have incrementally changed society through the dialectic process. 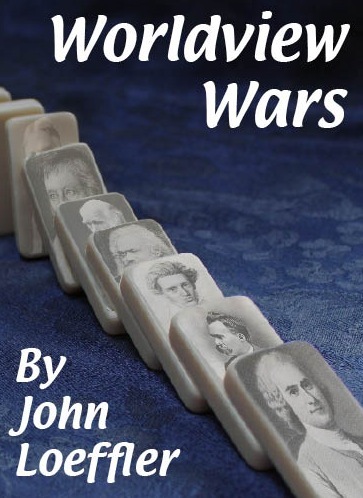 Every week on Steel on Steel, John connects the past century to today and projects the state of society in the march toward an eventual omega point.